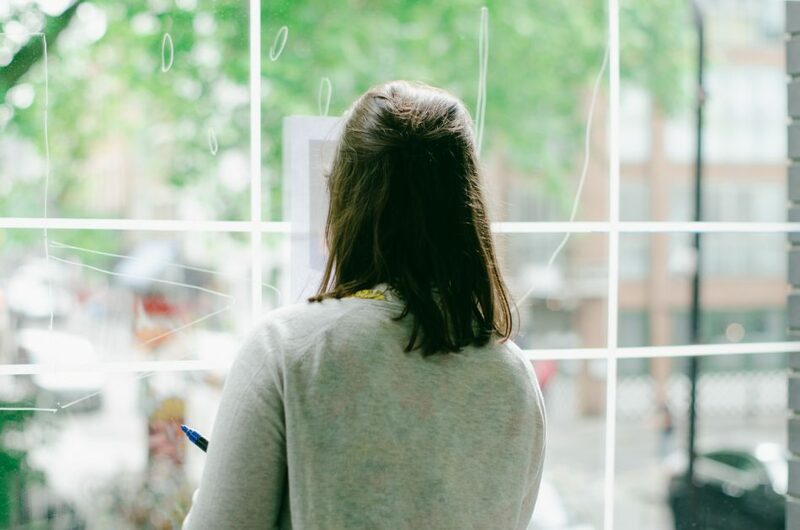 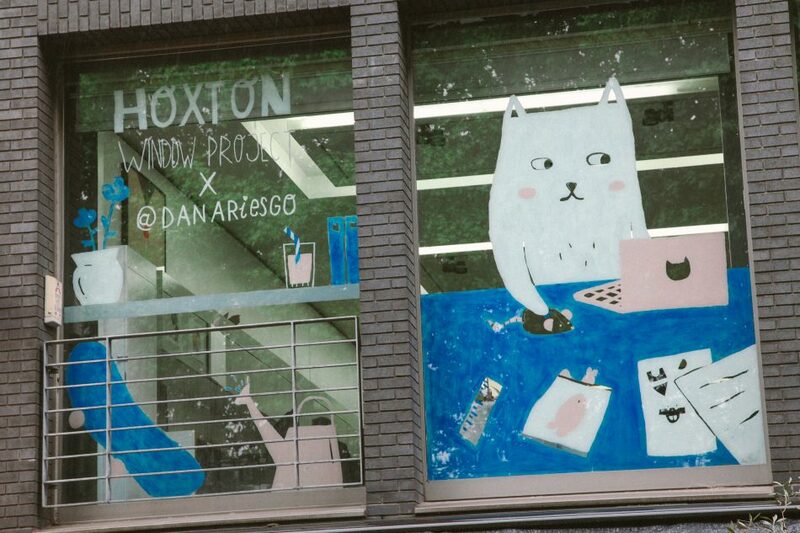 This month’s Hoxton Window Project featured the talented Dana Riesgo, who is not just an illustrator but also a maker, graphic designer and photographer. 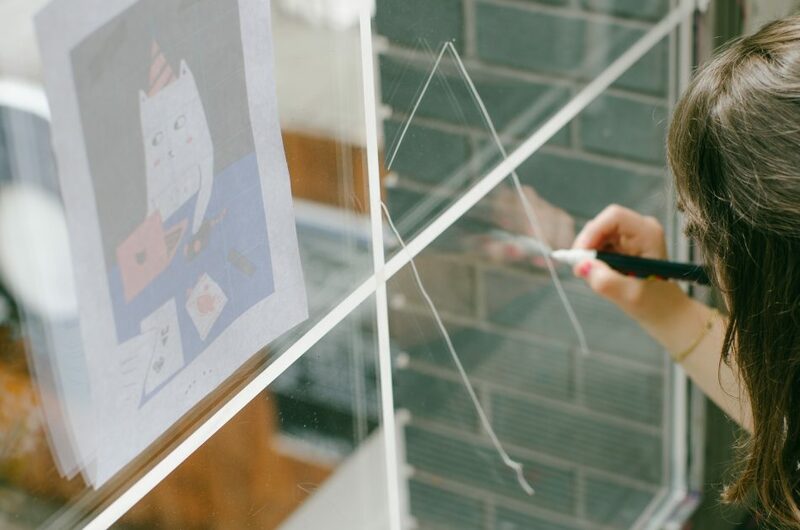 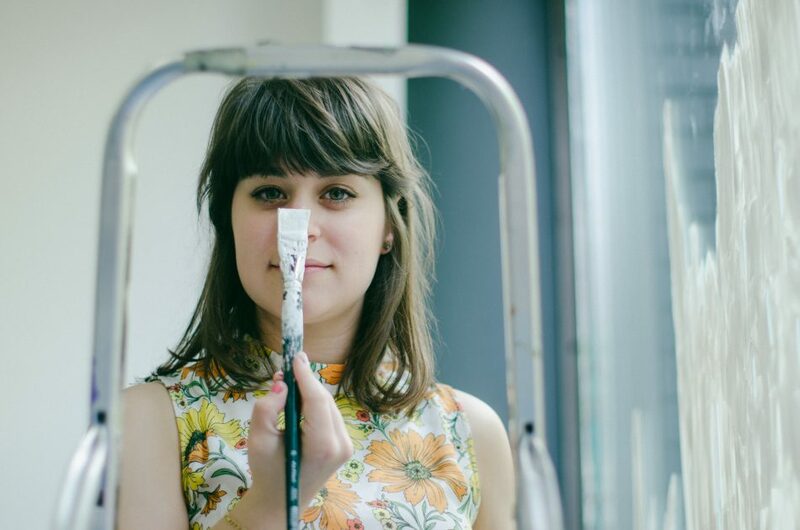 She works as a jack of all trades at Noodoll, an East London-based design brand that makes quirky toys and stationery. 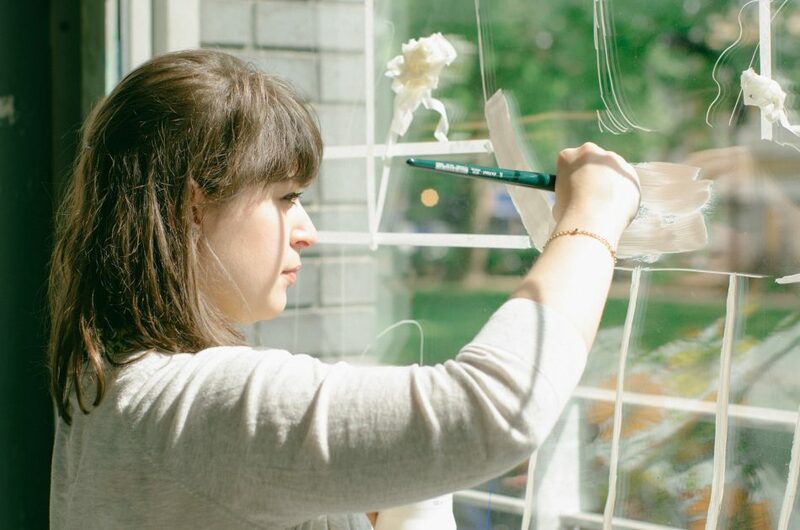 Since she often designs characters from scratch for her job, Dana chose to do just that for the artwork on our windows. 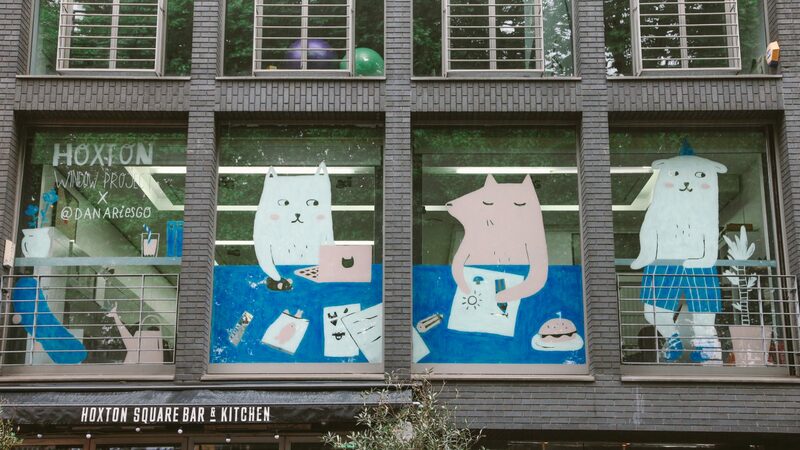 Her pastel-coloured illustrations feature animals sitting by their office desks and drinking coffee or checking Facebook. 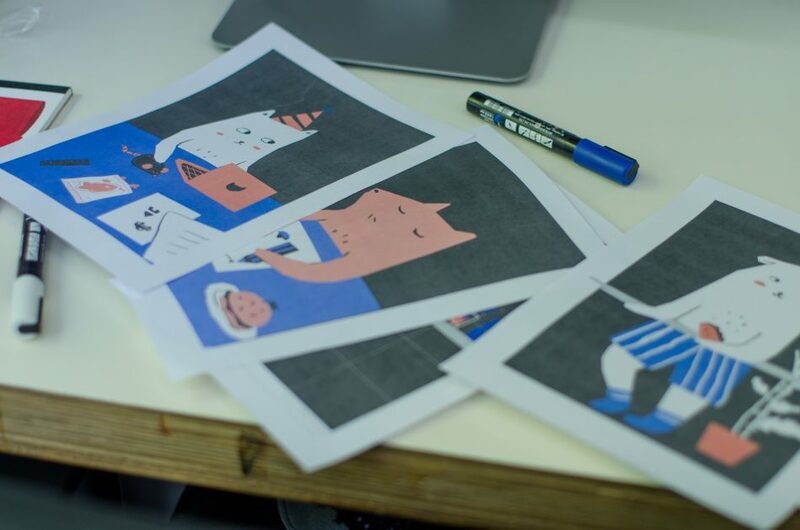 As a recent graduate of School of Arts in Asturias in Spain, Dana works mainly in the “world of cute,” creating minimalist illustrations of silly, lovable animals that are guaranteed to make you smile. 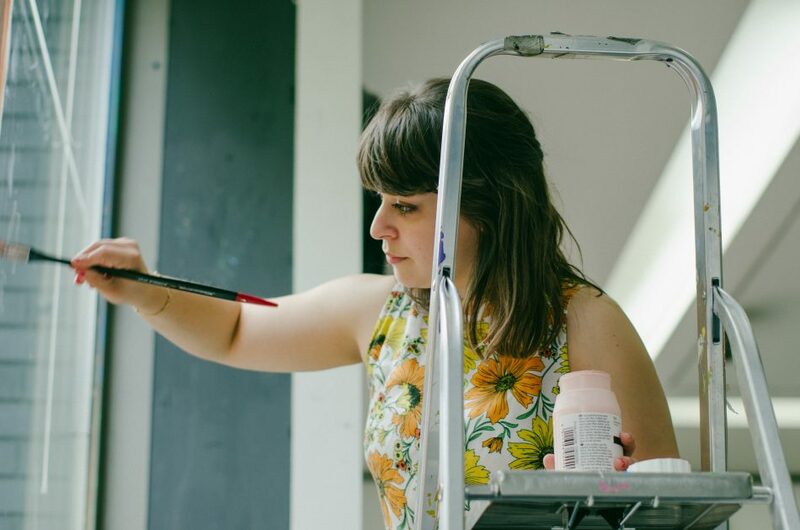 You can check out her work here.